For sale picturesque land set in the unspoilt, beautiful mountains of Harghita in Transilvania. It is situated in Baile Homorod, a quiet hamlet with only few homes, 2 km away from a ski resort and excellent dining. An additional, larger ski resort is situated within 30 min drive. The beautiful medieval town of Odorheiu Secuiesc is 15 min drive away, offering all necessary amenities, including shops, restaurants, a small concert hall, schools, clinics and more. The area presents numerous historical sites and castles, typical of Transylvania region, as well as mountain walks. The famous Bran Castle, the seat of Vlad Dracul the Impaler is only 45 min drive away. 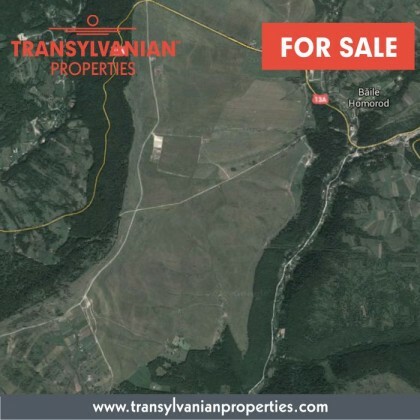 This land is located in Transylvania.